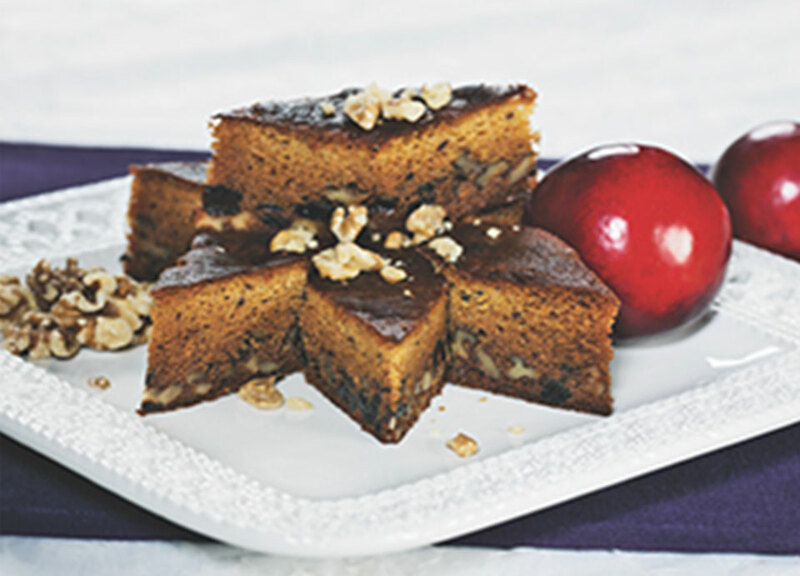 Prunes and walnuts are both exceedingly high in antioxidant power. Both are listed by the U.S. Department of Agriculture on the ORAC (oxygen radical absorbance capacity) scale with over 10,000 units.Eating a ¼-cup serving of prunes, or about four prunes, provide you with 12 percent of the daily value for fiber, 32 percent of the daily value for vitamin K and 9 percent of the daily value for potassium. A hundred grams of prunes (about ½ cup) provides at least 9 percent of your daily needs for the B vitamins, niacin, riboflavin and vitamin B-6. I’ve combined these two age-defying powerhouses into one great dessert.